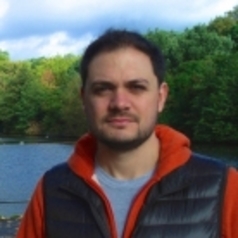 Matias Spektor is an Associate Professor at Fundação Getulio Vargas in Brazil. He is the author of "18 Dias: quando Lula e FHC se uniram para conquistar o apoio de Bush" (2014), “Kissinger e o Brazil” (2009), "Azeredo da Silveira: um depoimento" (2010). Dr. Spektor is also working on a multi-archive research program on the history of Brazil’s nuclear program. He was visiting fellow with the London School of Economics, the Council of Foreign Relations and the Woodrow Wilson International Center for Scholars. Matias was founding director of FGV's Center for International Relations (2009-2012) and holds a doctorate from Oxford. In 2013 Matias was Rio Branco Chair in International Relations at King's College London. He's the author of “Kissinger e o Brasil” (2009) and “Azeredo da Silveira: um depoimento” (2010). His next book is entitled “18 dias: Lula, Fernando Henrique e a Casa Branca de George W. Bush” and will be published in 2013. Matias writes a column for Folha de S. Paulo, Brazil's leading newspaper, and his work for the press has appeared in the New York Times and the International Herald Tribune.